I've heard mixed reports anyone have any luck? A friend of mine boated two closer in, around 130. 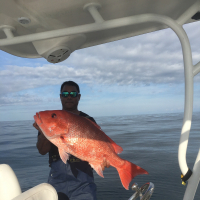 Caught on horse ballyhoo, one was in the 70lb range and other around 30.